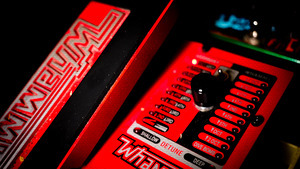 KitMonsters – Digitech Whammy Pedal. The music makers’ guide to making music. 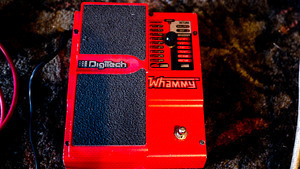 The Digitech Whammy pedal is now in its 5th generation, and was a revolution in guitar effects when it was introduced in 1989. Essentially a pitch shifter, the built-in expression pedal allows you to go a monster two octaves in either direction, with gradations at every semi-tone. There are also shallow and deep modes, that are closer to chorus, where the signal is slightly shifted in and out of tune. You can get some mad bends and dives with this, something that previously only certain instruments were capable of. 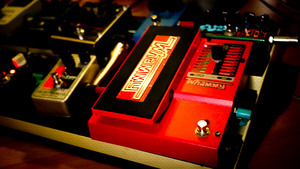 The new V - 5th gen version has chordal Whammy pitch-shifting and true bypass. 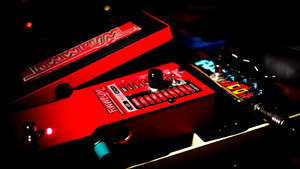 When combined with a blender pedal that allows you to adjust the dry/wet ratio, you can get even more exciting sounds. It’s used by guitarists like Jonny Greenwood, Jack White, Jimmy Page, David Gilmour, Josh Homme and Noel Gallagher.